11 june 2010 South Africa is hosting the FIFA World Cup from 11 June to 11 July, the first on the African continent. To mark the occasion, Spot Image is taking the high ground to present the 10 venues where matches will be played, including the 1st match at Cape Town stadium where Uruguay and France are facing each other today. From the north to the south of South Africa, here are the 10 stadiums that are hosting the 2010 FIFA World Cup. Credits: KARI 2010 - Distribution Spot Image (Click on the images to download them). Green Point Stadium, Cape Town, where France and Uruguay are facing each other today at 20:30 CET. 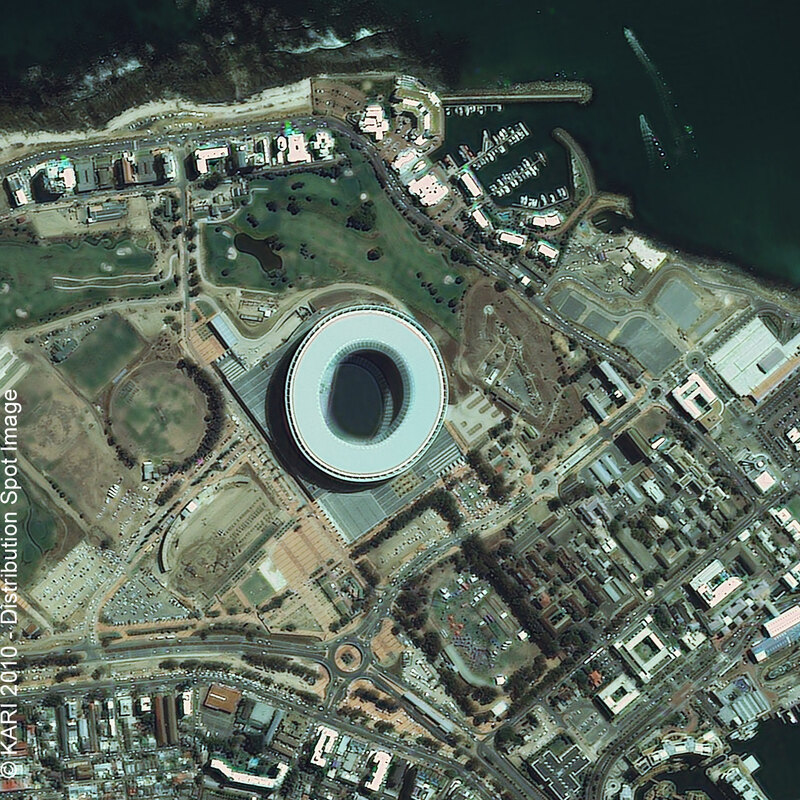 Cape Stadium satellite image as computer background!